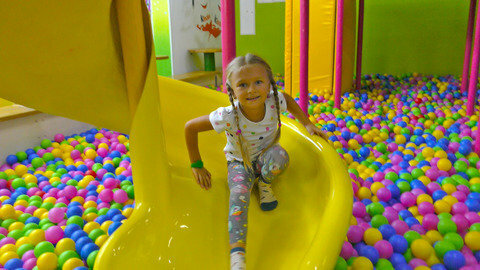 Watch how Yasya has fun while playing in this kids’ video where there are huge blocks at the indoor playground. She uses her imagination as she builds a castle with the huge sponge blocks then she proceeds to go through the different obstacles of the indoor playground. While watching Yasya in her polka dot shirt, you will also hear many baby songs including Skip to My Lou, Old Mac Donald, and Jack And Jill. Keep your kids entertained and learning at the same time by watching the videos you’ll find at SeeZisKids.com.